With an oak wood and stainless steel combination, this Chiswick Console Table will make for a great addition to any home due to its simple but striking design. 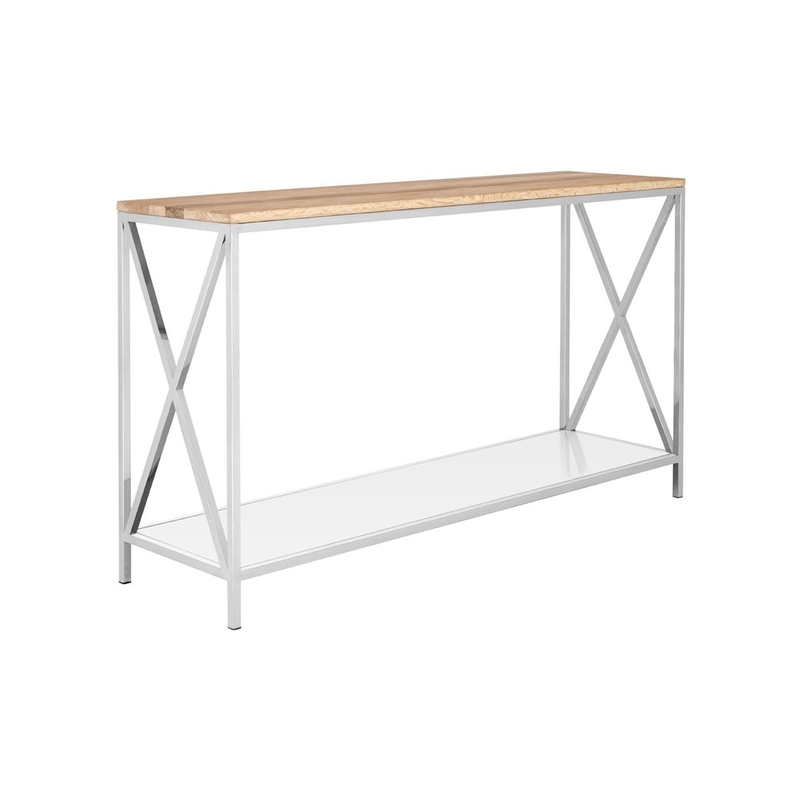 Perfect for everyday use as a console table as it features plenty of table top room, which is perfect for displaying your ornaments and photo frames or for doing such practical things as working and studying. This console table will add some classic modern style to your home, able to fit in amongst any style of surrounding interior.